The Foundation is one of the world's major cultural organisations. The Staatliche Museen zu Berlin (National Museums in Berlin), the Staatsbibliothek zu Berlin (State Library), the Geheimes Staatsarchiv (Secret State Archives), the Ibero-Amerikanisches-Institut (Ibero-American Institute) and the Staatliches Institut für Musikforschung (State Institute for Music Research), all with their origins in the collections and archives of the State of Prussia, are linked to form a close network for cultural transmission. From the beginning it was scholars and artists rather than princes and kings who gave the collections their distinctive profile. Although individual treasures such as the world-famous Pergamon Altar or the bust of Nefertiti draw the attention, the encyclopaedic range and ordered structure of the collections as a whole reflect an all-embracing interest in research and education. The preservation and care of the collections, their structure and development, and the continuation of academic and scientific research form the basis for a mediation of cultures with a mission to encourage learning and understanding between different peoples. The Institute for Museum Research is one of two Research Institutes attached to the Staatliche Museen zu Berlin. The major tasks of the Institute are research on the primary museum tasks: collecting, preserving, exhibiting and educating. The "Institut für Museumsforschung (IfM)" (Institute for Museum Research) is the only institute with responsibility for all German museums. It is involved in standards development relating to digitization. The Institute also monitors the development of the whole museum sector in Germany, conducts surveys on all German museums including annual statistics, visitor research etc. 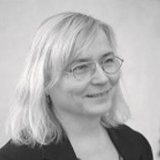 Prof. Monika Hagedorn-Saupe – female - studied mathematics, sociology, psychology, and education at the Ruhr-Universität Bochum, at Kings College London, and at the Freie Universität Berlin. Since 1985, she has been a staff member of the Institut für Museumsforschung (Staatliche Museen zu Berlin, Stiftung Preußischer Kulturbesitz), overseeing the annual statistics of all German museums. Since 1994, she has been Head of the department "Visitor-related museum research and museum statistics", is responsible for several European projects and is the Deputy Director of the Institute. Since 1997 she is chairing the Special Interest Group on Documentation (Fachgruppe Dokumentation) in the German Museum Association (Deutscher Museumsbund e.V.). She is the current president of CIDOC, the documentation committee in ICOM, the International Council on Museums. Since 2013 she is on the board of ICOM-Europe. In 2001, she was nominated from the German Federal government to participate in the European NRG (National Representatives Group on Digitisation in Culture) and is now a member of the MSEG. She is the convenor of the ISO/TC46/SC8/WG11 on “International Museum Statistics”. She is Professor in museology at the University of Applied Sciences HTW in Berlin/Germany and teaches visitor research and project management. Dr. Stefan Rohde-Enslin – male - studied ethnology and political science. 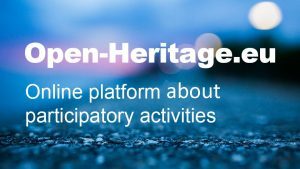 He is a member of staff of the Institute for Museum Research, State Museums in Berlin responsible for support for museums in questions of digitisation and long term preservation of digital data. For many years Dr. Rohde-Enslin worked in the historical photographic archives of the Rautenstrauch-Joest Museum of Ethnology, Cologne. Dr. Rohde-Enslin was involved in a project entitled, "Digitisation of Photographic Collections in German Museums". The URL for this project is: www.sepiadigital.de. A further professional interest of Dr. Rohde-Enslin is the gathering of information pertaining to historical collections of photographs housed in German cultural organisations (www.fotoerbe.de) He supports museums in developing new skills to publish their collections online (www.museum-digital.de ).